Action from the ISSA/Digicel Manning Cup Group D top-of-the-table second leg fixture between Denham Town High and St Jago High at the Edward Seaga Sports Complex on Saturday, October 6, 2018. Denham Town won 1-0. (PHOTOS: Marlon Reid). 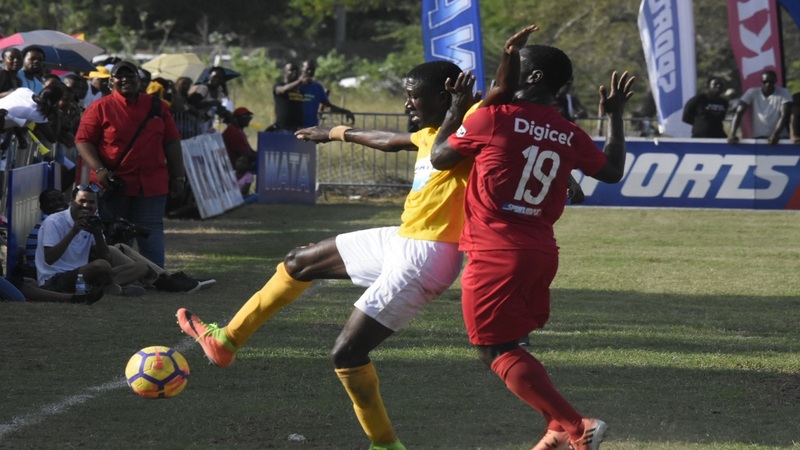 Three-time champions Charlie Smith High, Denham Town High and Holy Trinity High booked their places in the second round of the 2018 ISSA/Digicel Manning Cup competition on Match Day 18 on Saturday. 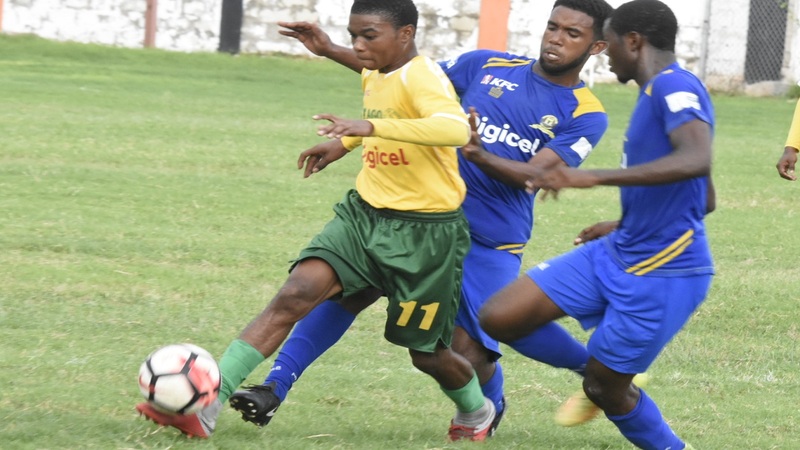 Charlie Smith High joined Camperdown High as the two automatic qualifiers from Group C after the teams battled to a 1-1 scoreline in their return leg top-of-the-table fixture at Tony Spaulding Sports Complex. This represents the second draw between the teams as they had battled to a 0-0 draw in their first meeting on September 22 at the Alpha Institute. The result was good enough for Camperdown High to take top spot in the group with a set of game remaining to complete the preliminary round. Camperdown have moved to an unassailable 23 points from nine games, a five-point lead over second-place Charlie Smith High. 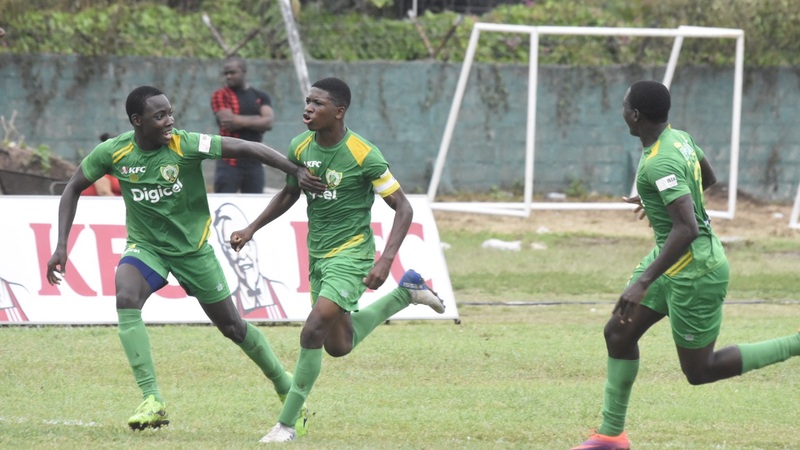 Norman Manley won 3-0 at bottom-place Meadowbrook High to remain in third place with 14 points for a slim shot at one of the two best third-place teams, which will also progress to the second round. 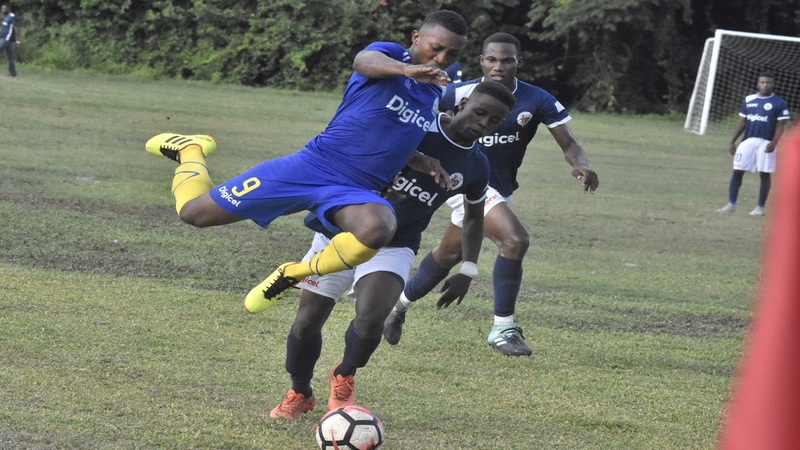 Denham Town High secured their spot with a 1-0 victory over St Jago High in their Group D top-of-the-table second leg fixture at the Edward Seaga Sports Complex. The teams had battled to a 1-1 draw in their first leg encounter at Prison Oval in Spanish Town on September 10. A goal in the 73rd minute by Shevar Thompson was enough to move Denham Town to 20 points, which place them one ahead of St Jago High, which had started the match leading the group and needing only a point to secure their place in the second round. With two teams gaining automatic qualifying spots from each of the group, Denham Town can only be caught by St Jago with two set of matches remaining in the preliminary round. Denham Town playing on their home turf had a slight control of the match with St Jago coming alive towards the end when they pressed for the equaliser. The second stanza was of a better quality than the first. 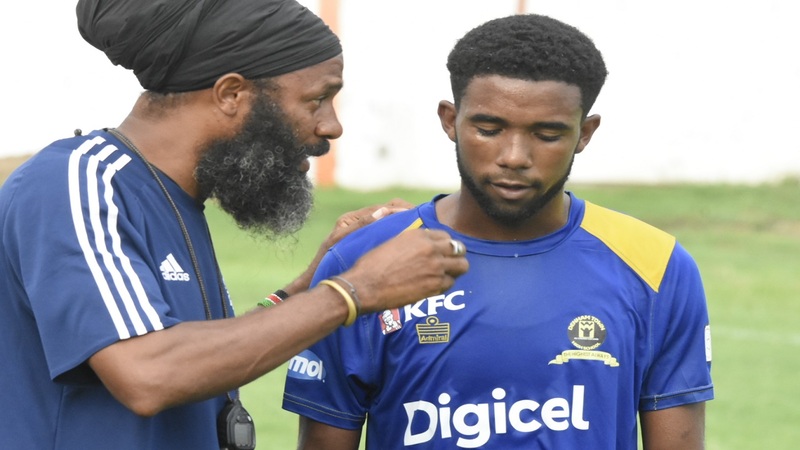 Denham Town got the goal from a quick break that had a number of players involved in one-touch combinations just outside the penalty area before Thompson beat goalkeeper Diandre Burrell with a shot. Holy Trinity High joined Wolmer's Boys as the automatic qualifiers from Group G with a 3-0 victory at bottom-place Jose Marti. Charlie Smith, Denham Town and Holy Trinity qualifications mean that 10 teams are now through to the second round. The other teams are St George's College and last year's beaten finalists St Andrew Technical High School (Group A), Kingston College (Group B), Camperdown High (Group C), five-time defending champions Jamaica College (Group F) and Wolmer's Boys (Group G).